Trading Commodity Options has some distinct advantages over trading stocks of companies that deal in those commodities. Many people these days are focused on the stock market due to its popularity and general proliferation of information. But if they're interested in say, gold, for example - and have some idea where the price of gold is headed - they look for a company whose share price is closely linked to the fluctuating price of gold and take positions in the options or shares of that company. The same could be said for other major commodities such as oil or silver. The trouble with this approach is, that companies experience many factors which influence their current stock price. Companies after all, are in business - and as such, are subject to a number of conditions which may complicate the relationship between the company and the price of the commodities they deal in. For example, an unexpected change in the CEO, upcoming earnings reports, news about the company's business activities, dealings with government, confiscation or destruction of property, unexpected disasters ... and so many other things that are unique to that company, can result in share price volatility that has no real relationshp to the underlying commodity price. Trading commodity options on the other hand, bypasses all this. It's even better than trading a stock index for a particular commodity industry because it goes straight to the underlying commodity market, where the prices are the pure and unadulterated reflection of supply and demand for that commodity. 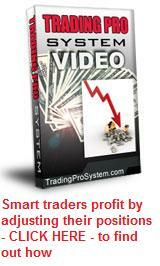 Why trade a gold stock index when by trading commodity options you can trade on the price of gold directly. In fact, why buy or sell gold at all? You don't need to handle physical goods. The commodities market allows you to simply purchase contracts which give you the obligation to either buy or sell the underlying commodity at a future agreed price by an agreed expiration date. These contracts are called "futures". But futures contracts carry potentially unlimited risk, because if the price action goes against your anticipated direction, your loss on the contract is the difference between current market price and the contract price, amplified by the leverage built into futures. This is why futures traders need to limit their risk by taking out opposite positions (i.e. a buy to offset a sell, or vice versa) at another strike price, as the need arises. 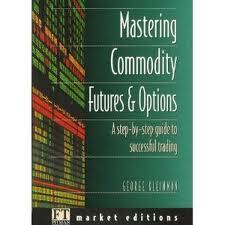 Trading commodity options is the answer! The number one advantage of options over futures, is that for bought option contracts, the risk is always limited to the amount of your investment. In addition, options offer so much more in the way of trading strategies, than futures. An understanding of the options greeks such as the 'delta' and the power of time decay (theta) and volatility (vega) allow you to construct positions that, though more complex, carry much less risk. You can even combine options positions with your futures positions to hedge them, or effectively create 'covered calls'. If the underlying commodity price is expected to be volatile, trading commodity options allows you to have a bet both ways. Strategies like straddles and strangles are very popular for fast moving price action - and many commodites are affected by current economic or political news. So whether it's gold, silver, oil, sugar, pork bellies, wheat, barley, maize, cotton, cocoa, coffee, or any number of other commodites for which futures contracts are available, the commodities options market is a far more efficient way to trade these goods than company shares connected with these industries.